Stool kits that need to be assembled and stained. Then they may be woven with various seat weaving materials. 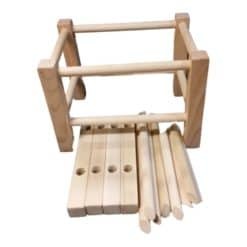 Children will have great fun with these kits and adults can learn basic seat weaving. 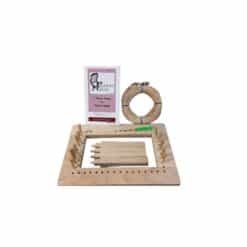 These kits can be used for teaching seat weaving classes, or they can be used to make extra income by selling the completed stools. 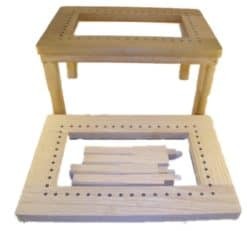 View cart “Strand Cane FootStool Complete Kit” has been added to your cart.